Also available in Platinum. Contact us for details. Available in any size. Contact us if different from the above. 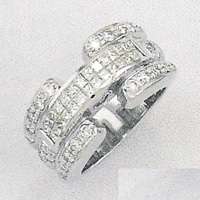 28 pcs round and 28 pcs princess cut diamonds, VS/SI G-H color.